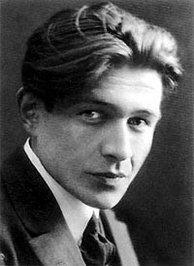 Nina Berberova’s novella The Revolt is a well crafted gem–the story of how WWII intervenes between two lovers. The story opens in Paris with two lovers, facing an unknown future, about to be parted. Olga, a Russian émigrée, who lives with an uncle, a famous writer, is about to say goodbye to the Swedish Einar. It’s September 2, 1939, the day after Hitler invaded Poland. Einar talks of Olga coming to Stockholm, of them travelling to Brazil, of a trip to Russia. They don’t know yet how bad things will become–how travel will become much more difficult and fraught with danger. Many promises are made–promises which prove impossible to keep. The German occupation is marked by four very different visits made to Olga and her uncle: each visit reflects the ever shifting times. The emphasis here is in time passing with an almost dreamlike quality. Olga writes to Einar but the letters are returned unopened and marked “address unknown.” Olga never forgets Einar, and then seven years after they parted, Olga travels to Stockholm to collect an inheritance…. 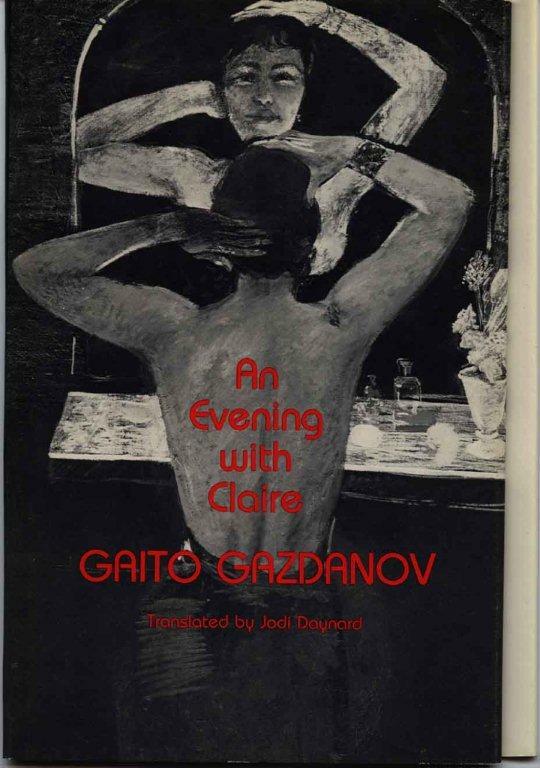 To say more would be to spoil this slim, subtle understated novella, but I will say that Olga who has, as we say these days, no closure, is given an opportunity for love once again. But this time the price is too high. Sometimes second chances are not the gift they appear to be. In everyone’s life there are moments when unexpectedly, for no apparent reason, a door that has been shut suddenly cracks open, a trellised window, only just lowered, goes up, a sharp, seemingly final ‘no’ becomes a perhaps’, and in that second the world around us is transformed and we ourselves are filled, transfused, with hopes. For Olga, love comes at a price, and the question becomes: is she willing to pay it or not? There’s a lot of talk in our society about ‘unconditional love’–a term, frankly, I’ve never understood. This book explores the price we are willing to pay for love–a topic that goes hand-in-hand with that twisty term: unconditional love. And while unconditional love asks how far a person can go before we stop loving them, Berberova asks how much Olga is willing to sacrifice to be with the man she loves. Chekhov’s The Boys is the tale of a planned escape to America; In Mikhail Zoshchenko’s, The New Year’s Tree, the forty-year-old narrator recalls the lessons learned 35 years earlier. In another story from Chekhov, At Christmastide, an older couple pay someone to write a letter to their daughter who has married and moved away. Dream of the Young Tsar from Tolstoy was a bit of a disappointment; it’s sort of a Russian version of A Christmas Carol, heavy handed and moralistic.I’m not going to review all the stories, and instead I’m going to concentrate on my favourites in the collection. Another favorite was Chekhov’s A Woman’s Kingdom. The story opens on Christmas Eve and focuses on unmarried Anna Akimovna, a young woman who owns substantial property, including a factory which employs 1800 workers. Every year at Christmas, she distributes a certain amount of money to the poor, but this year, an extra 1500 roubles lands in her lap, and she decides to give it away. But who to give it to? She’s faced with a stack of begging letters (and hateful letters), and letting fate award the 1500 roubles, she picks a begging letter at random. A Woman’s Kingdom is a fairly long story, and one that could have been worked into a novel. We see Anna’s Christmas when she is visited by the local poor who shivering with cold, pay respects, Anna notes “in reality there is something cruel in these Christmas customs,” but she’s powerless to stop the century old traditions. Anna, an extremely sympathetic character, was raised from peasantry to wealth by inheritance. She’s not entirely comfortable with her position. She longs for love and marriage, but it seems that she’s destined to remain unmarried. We see a life of privilege but a life that’s sterile. She has wealth but she’s being ripped off in various ways; she’d like to help those in need and give charity, but her actions are either thwarted or futile. 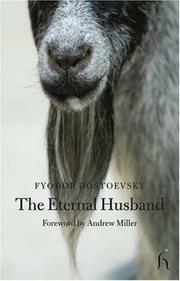 My favourite story in the collection was Dostoevsky’s A Christmas Tree and a Wedding. The narrator is an unnamed man who sees a wedding, and then casts his mind back to a children’s party which took place five years earlier on New Year’s Eve. The family who threw the party were wealthy, and the narrator, an outsider, observes the other guests, the children and their accompanying governesses. Particularly charming was a blackeyed, curly-headed boy, who kept trying to shoot me with his wooden gun. But my attention was still more attracted by his sister, a girl of eleven, quiet, pensive, pale with big, prominent, pensive eyes, exquisite as a little cupid. Idle gossip between the guests whispers that the little girl will inherit 300,o00 roubles, and the supposedly disingenuous narrator notices that gifts, which seem to be randomly distributed, are awarded to the children with “presents diminishing in value in accordance with the rank of the parents of these happy children.” The son of the governess, “the child of the lowest degree” gets a cheap book while the little heiress receives the most expensive doll. To say what happens next would be to spoil the story for other readers, but once again Dostoevsky chronicles the lowest points of human behaviour. “Sell them,” the clerk said without lifting her head. I almost wept with self-pity. After all, I was thirty-six years old. Had worked eighteen of them. I earned money, bought things with it. I owned a certain amount, it seemed to me. And still I only needed one suitcase–and of rather modest dimensions at that. Was I poor, then? How had that happened? The narrator takes his one suitcase from the Soviet Union and finally to New York. The suitcase is “plywood, covered with fabric.” The lock doesn’t work so it’s wound with a clothesline to keep it shut. The narrator begins his new life in America, dresses completely differently, and forgets about his old battered suitcase until one day, years later, his attention is drawn to it. He opens it and sees “pathetic rags” which are relics of his “lost life.” From this point, he examines the articles of the suitcase–including some Finnish crepe socks, a pair of half-boots, a suit, a belt, a jacket, etc, and each piece of clothing is its own piece of uniquely Soviet history. The Finnish crepe socks, for example, are part of a black market story which extends into the vagaries of consumerism and friends lost to the past. They reminded me of my criminal youth, my first love and my old friends. Fred served his two years and then was killed in a motorcycle accident on his Chezet. Rymar served one year and now works as a dispatcher in a meat-packing plant. Asya emigrated and now teaches lexicology at Stanford–which is a strange comment on American scholarship. 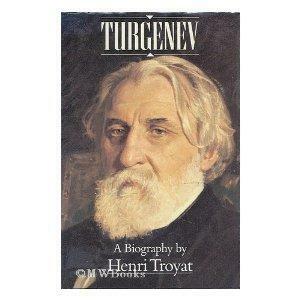 Dovlatov was a journalist and a part-time tour guide in The Pushkin Preserve. In the chapter, A Decent Double–Breasted Suit, the narrator is told by the director of the Preserve that he dresses so shabbily that “his trousers ruin the festive mood of our area.” In the narrator’s tatty old suitcase is a suit that carries a tale of the narrator’s employment as a newspaper reporter and how he managed to upgrade his pitiful wardrobe. He’s assigned a series of tasks, finding an Uzbek to quote for a Constitution Day article, a “modern Russian handyman” for Efficiency Day , and a “Heroine Mother.” Things become complicated when a KGB major appears at the newspaper office and begins quizzing the narrator for information about a visiting Swede. The narrator manages to get a new suit out of the deal without compromising his morals. Dovlatov was unable to publish his work in the Soviet Union and so smuggled out his writing which was subsequently published in Europe. In 1979, he emigrated to America. 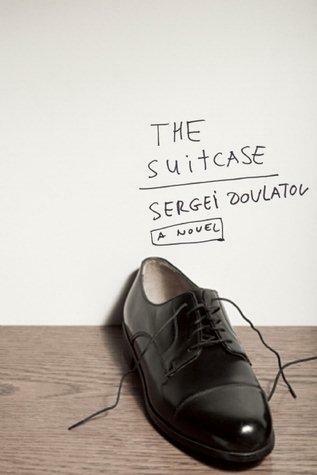 Told with a self-deprecating, yet gently ironic humour, there’s a bitter-sweetness to the book, and I came away with the feeling that I would have liked to have known Dovlatov. 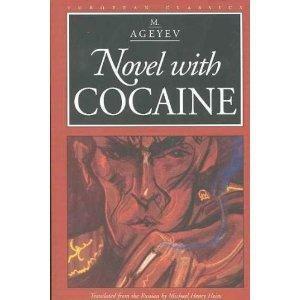 First, credit must go to Book Around The Corner for pointing out Novel with Cocaine by M. Ageyev. It’s doubtful that I would have come across this nasty little tale of adolescence and addiction without her review. My copy is one of the European Classics series from Northwestern University Press, and the translation is by Michael Henry Hein. Well which is it? Is Novel with Cocaine Dostoevskian or “reminiscent of Nabokov?” I press the point because Nabokov did not admire Dostoevsky (he called him a “cheap sensationalist” amongst other things) and he would not have appreciated being compared to a book that’s compared to Dostoevsky. Russian literature is composed of more than one flavour. Since I read Novel with Cocaine, that entitles me to an opinion on the book, so here it is: it’s Dostoevskian. The novel is split into four distinct sections: School, Sonya, Cocaine and Reflections, and the story begins with the school days of Vadim, the Russian anti-hero. 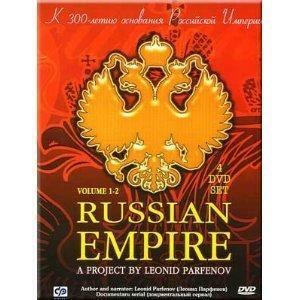 The setting is pre- and post-Russian Revolution and 17-year-old Vadim, his mother and their servant live in Moscow. In spite of the fact they are terribly poor, Vadim manages to squeeze a couple of roubles from his mother (and the servant) in order to buy himself a few luxuries. He’s bitterly ashamed of his mother’s poverty, and when his mother extends love and affection, it’s returned with shame and loathing. Most teenagers are eager to shed the yoke of childhood–a role that implies a number of conditions of subordination, but in Vadim’s case, his loathing of his mother is pathological. It would be absolutely wrong to assume that during the few minutes it took to drive to the maison de rendez-vous I was unconcerned about passing on my illness to Zinochka. Pressing her against me, I thought of nothing else; but my thoughts centered not so much on the responsibility I might incur as on the trouble others might cause me. And as is so often the case in these matters, fear of discovery did not in the least deter me from the act; it simply led me to go about it in such a way that no one would know who had perpetrated it. It was wasteful of me to contaminate the girl, I thought and felt, but what I meant by the word “wasteful” was not that I had committed a horrible act; on the contrary, what I meant was that I had made a sacrifice, hoping to gain a certain pleasure in return, which pleasure had not been forthcoming. This incident reminded me a great deal of Apropos of the Wet Snow: Part II of Dostoevsky’s Notes From Underground, and the relationship between the young narrator and a prostitute. Novel with Cocaine is Dostoevskian in its exploration of the toxicity of the protagonist’s relationships, and also for its philosophical emphasis. More of that later. Lest you get the wrong impression, Novel with Cocaine is also very funny. The scenes with Vadim and his school chums are priceless and also observant. In one section, Vadim describes the political dynamics of the classroom as a “horseshoe” with the excellent students on one end and the terrible students on the other. Vadim notes that “the closer the students moved to the middle, the duller they became.” He observes that students fail to make progress through the horseshoe as each is hampered “by the reputation he has made for himself over the years.” Thus a halo effect rules the teachers’ perceptions, and Vadim relates a series of hilarious incidents in which one student, Burkewitz, achieves the impossible–he alters the opinions the teachers have of him and ‘moves’ from one end of the symbolic horseshoe to the other. Burkewitz is to appear later in a significant role. Is that the love I was ready to leave everything for, to ruin my life for? I asked myself. No Vadim, no my dearest, it wasn’t love at all; it was a foul, a loathsome mire. I have enough of that mire at home not to bring more back to my all-mahogany conjugal bed from the fusty back room of some dive or other. If a bildungsroman is a book in which the character matures, then the opposite happens here. Vadim reaches so-called adulthood with an uncanny understanding of his own motivations, but that knowledge brings him nothing whatsoever. Instead he lurches into an addiction–as the title indicates–with cocaine. Vadim, a twisted self-absorbed individual incapable of the reciprocity requisite in relationships, begins to conduct the only relationship for which he’s suited: a love affair with cocaine. For all we should have to do is fill our theaters with plays in which villains not only survive, not only escape punishment, but triumph, plays in which villains triumph and the virtuous poor succumb, and we should soon see people pouring into the streets in revolt, rebellion, insurrection. But, you may object again, it would be a revolt in the name of justice, in the name of the most noble of human feeling. And you are of course correct, perfectly correct. But have a look at us as we come out to revolt in the name of humanity, have a good look at our faces, our lips, and especially our eyes, and if you refuse to see that you are surrounded by wild animals then you had beat a hasty retreat: your inability to distinguish man from beast may cost you your life. In the early thirties a Paris-based Russian émigré journal, Numbers, received an unsolicited manuscript from Istanbul, a manuscript entitled Story with Cocaine. Following the succes de scandale of its journal publication, it appeared as a book under the title Novel with Cocaine … then disappeared, seemingly forever. Now about fifty years later, it has resurfaced. One of the work’s early admirers (and we are told, a close friend or relative of the author) came upon it in a second-hand bookshop in Paris and immediately set about translating it in French. At the same time she tried to uncover as much information as she could about the author. Rumor and speculation aside, all that has come to light is this: ‘Ageyev,’ a Russian émigré living in Istanbul, wished to move to Paris and establish his reputation as a writer there. Encouraged by the reception of Novel with Cocaine, he sent first a short story, then his passport to a friend in Paris. The short story was published, the passport lost. Recent attempts to locate him by means of notices in French and Turkish press have proved fruitless. Neither the friend nor anyone else has ever heard of him again. The intro goes on to speculate that perhaps the anonymous author returned to Russia and died in Stalin’s purges. Here’s what I don’t understand: How can the author be unknown and yet a “close friend or relative” finds a copy of this book in Russian in a second-hand bookshop. Which is it? A friend or a relative? And how can this friend or relative not know the name of the unknown author if they are a friend or a relative? Is the identity kept secret to protect the author? This doesn’t any sense to me or am I missing something here?